Let me tell you how I first got started in internet marketing and a little history about myself. I was divorced very young (28) with 4 children. Not wanting to put my children in daycare, I decided to work from home. So I went to cosmetology school where I could get the training and license to open a hair salon in my home. After graduating from cosmetology school, my father converted my garage into a hair salon, making it convenient for me to work and still take care of my family. After many years my business grew into a 15 person salon and day spa in a very busy location, where I worked until I sold my business and retired. So when I sold my business and retired, guess what? I was very bored. I was watching my twin grandsons a couple of days a week so my daughter-in-law could work but as they got older that didn’t keep me busy enough. That’s when I started checking out the internet to see what was available without any startup costs, because I was far from rich and did not have a big retirement. I really thought there was a legitimate way to earn money online without a large investment, but I was not sure where to look. After many hours of research I found out you have many options. Some cost money and some are free. Not knowing which avenue to travel I got discouraged and stopped searching. I’m assuming, due to my internet searching, a few weeks later, I received a postcard inviting myself and a guest to a free local seminar. 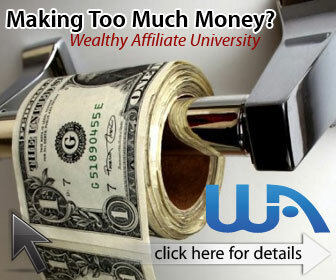 It described that there is money to be made in affiliate marketing. I had no idea what that entailed, so my friend and I decided to attend. It was being hosted by someone who has been very successful in this field. The class was very informative so we decided to take the advanced 3-day course. It was a lot of money but we thought we were on to something. We received so much information it was like information overload. It all sounded very interesting and they had plenty to share. Unfortunately they were trying to get us to buy into some very expensive upsells. We had decided not to invest any more money until we were able to start earning some money. I’m sure you could earn money with the information they gave us if you were more knowledgeable about the computer and the internet then we were. After working with the information we received for about 6 months I decided they were way over our head. I needed someone to take me by the hand and show me everything. I was not able to earn money as easy as they said it would be. I did earn some money with pay per click. But it was not much. Partly because the product I was selling was too inexpensive. But being stubborn I kept working at it. You will receive so many offers of help that it will be enticing to check them all out. That is one thing you don’t want to do. Browse the internet and research as much as you can. Then find a system you think is a good fit and follow it. Be very careful, there are some real scams out there and you could lose a lot of money. I know I almost did. Be careful that you don’t get side-tracked and start following the next new “Guru” that comes down the pike. There are no get rich quick systems. You have to learn, work hard and pay your dues. After buying some inexpensive courses and not getting very far, I tried coaching with some success. I finally did get my own site up and running and doing ok. And then one day while searching the net I came across Wealthy Affiliate. I joined for FREE immediately. I had found their website quite a while ago before they offered the free starter membership so I never joined. I really wish I had. But better late than never. Within 2 days I had signed up for the Premium course. I knew that this was the best place to be. They are ranked #1 in training. And I have checked out a ton of them. It is one of the best programs available. Click here to check out my review of Wealthy Affiliate. It is ranked #1 in affiliate training and offers so much training, even for the Starter course, which is free but limited. There are many advantages to internet marketing, you don’t need big sums of money for start-up cost (rent, inventory, payroll, ect). It can be done from home, in your pajamas, while watching your children, while on vacation or while you sleep. It will generate money 24-7. That’s why I wrote this, to help take the mystery out of internet marketing. Here are some of the first steps I would recommend. First you want to find your niche. That is something that you know and love. It could be a hobby like cooking, gardening, pets, or sports. Whatever you have an interest in and know something about. It’s important that you have some knowledge of your niche because you will be writing a lot of articles relevant to it. Then you need to find products to sell in that niche. These can be found on affiliate networks like Clickbank or Amazon. Both sites have plenty of products and a host of tutorials to help inform you. This is a simple overview to point you in the right direction. There is mind boggling amounts of information on the internet or in bookstores. If you want an easy introduction to internet marketing, go to my review of Wealthy Affiliate. They have all the tools and training you could possibly use and the Starter program is $0 no credit card. In this program you have limited access, but it lets you get the feel of what they have to offer. The training is unbelievable. The Premium is $49.00 a month with the first month for $19.00. I hope this article has enlightened you and good luck. Please leave a comment or question below. If I can help you in any way, please feel free to contact me and I will do all I can to help. I would love to hear for you. Please leave your comments below, Thanks, Deanna.